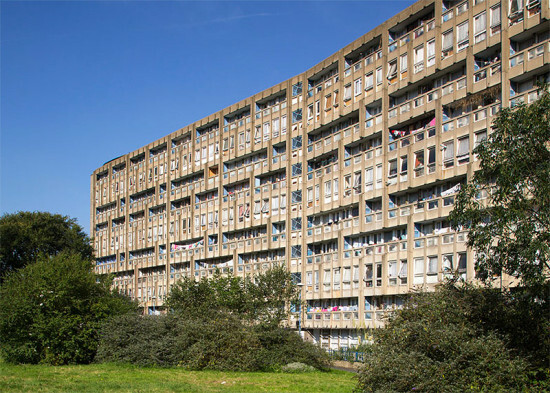 Few buildings are as quintessentially British and Brutalist as Robin Hood Gardens, a London housing estate designed by Alison and Peter Smithson in the late 1960s. And now, remnants of the complex are heading to Italy, where the Victoria and Albert Museum (V&A) will present a facade section of the demolished icon as part of the Venice Biennale. (It's actually a return to Venice for the late architects, who displayed billboard-sized images of the under-construction buildings at the Biennale in 1976.) 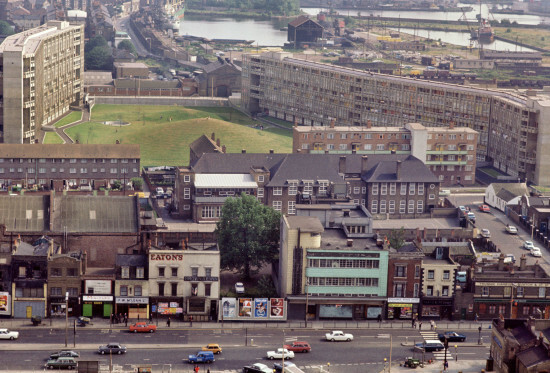 The Robin Hood Gardens housing block has never been far from the center of the debate of social housing since the Smithsons first unveiled plans for a concrete mass of residences linked by "streets in the sky." 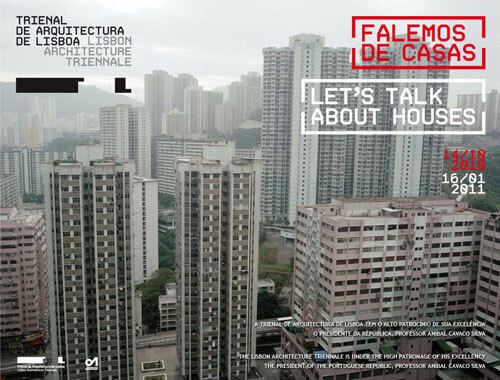 And now that it's being demolished to make way for a new development—all while cities around the globe struggle to house growing populations—that controversy is more in the news than ever. Though Peter Smithson himself expressed his regrets about the failures of the design, Robin Hood Gardens found a legion of supporters, if not strictly for its Brutalist design, then for its place within the conversation about urbanism. 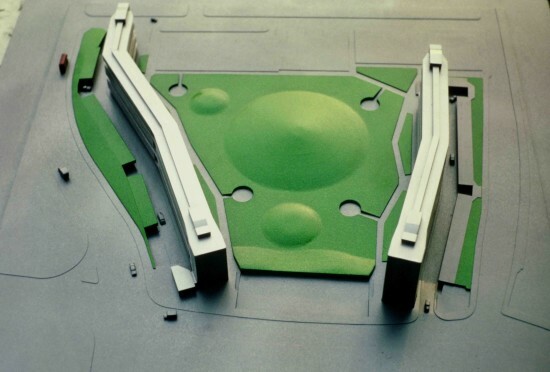 In fact, an all-star lineup of contemporary architects including Richard Rogers, Robert Venturi, Toyo Ito, and the late Zaha Hadid, came together to protest the buildings' demolition. When it became clear that plans would move forward, the V&A stepped in—on the urging of London firm Muf architecture/art—to acquire a nearly 29-foot high by 18-foot-wide by 26-foot-deep cross-section of the housing complex. The museum will be presenting a fragment from the estate at the Pavilion of Applied Arts in the Sale d’Armi in the Arsenale, from May 26 to November 25, 2018. 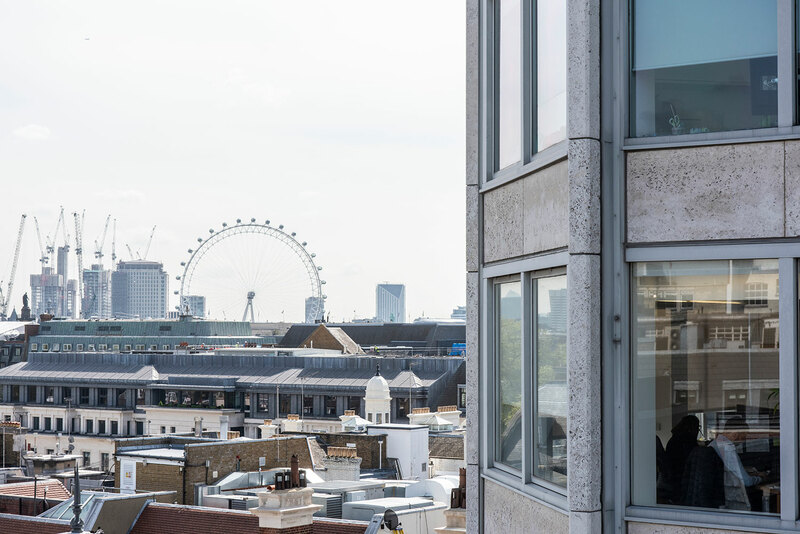 The segment will be displayed on a scaffolding system designed by Arup, the firm that engineered the original Robin Hood Gardens, while a film by artist Do Ho Suh will document the structure. Additional documents and interviews will give context to the social history of the complex. 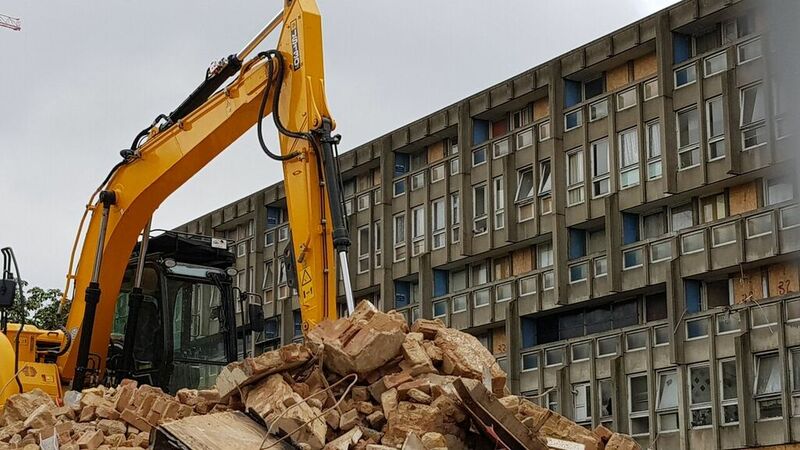 ‘The case of Robin Hood Gardens is arresting because it embodied such a bold vision for housing provision yet less than 50 years after its completion, it is being torn down," said pavilion curators Christopher Turner and Olivia Horsfall Turner in a joint statement. 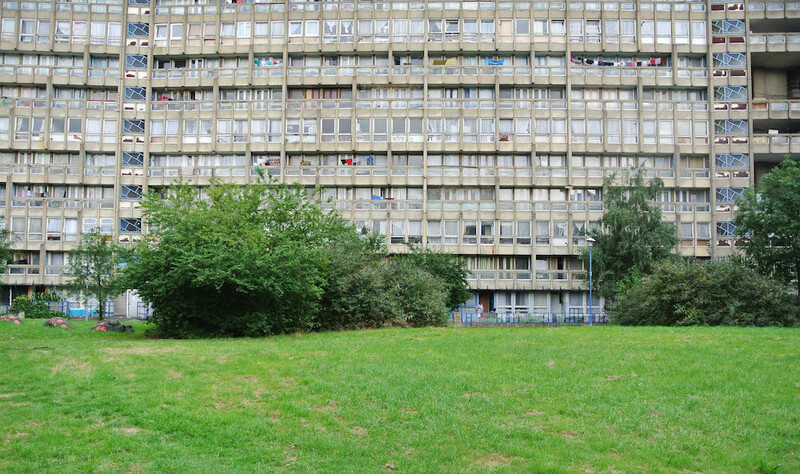 "Out of the ruins of Robin Hood Gardens, we want to look again at the Smithsons’ original ideals and ask how they can inform and inspire current thinking about social housing."